Józef Klemens Piłsudski (Polish: [ˈjuzɛf ˈklɛmɛns pʲiwˈsutskʲi] (About this sound listen); 5 December 1867 – 12 May 1935) was a Polish statesman who served as the Chief of State (1918–22) and First Marshal of Poland (from 1920). 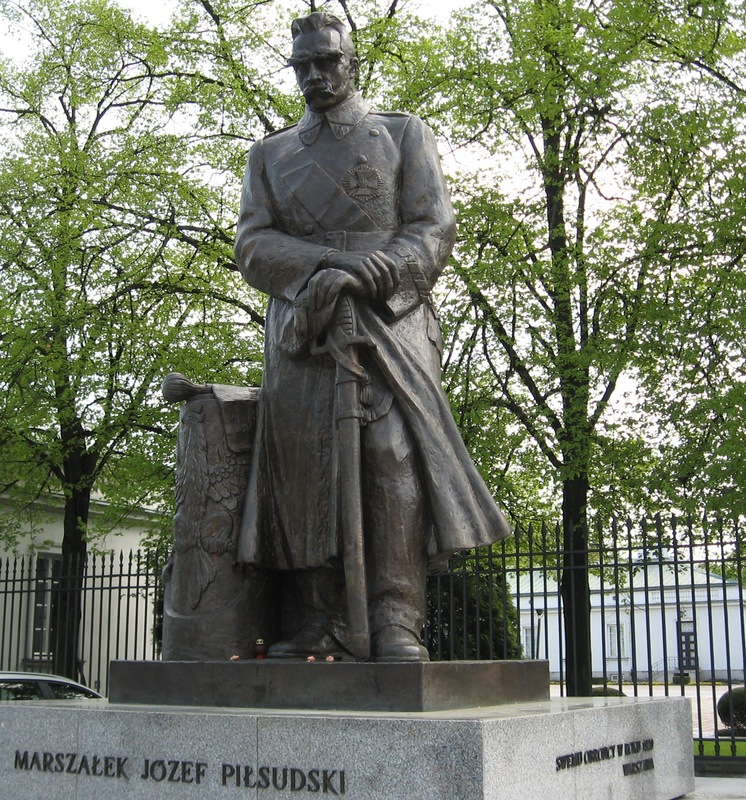 He was considered the de facto leader (1926–35) of the Second Polish Republic as the Minister of Military Affairs. 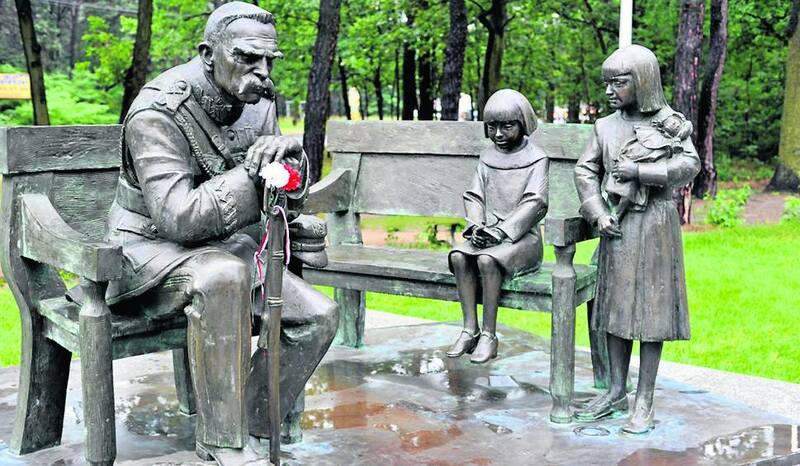 From World War I he had great power in Polish politics and was a distinguished figure on the international scene. 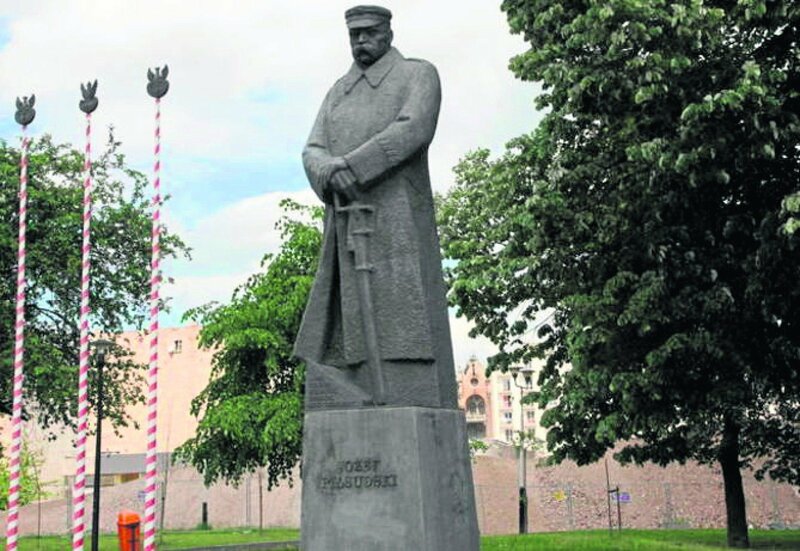 He is viewed as a father of the Second Polish Republic re-established in 1918, 123 years after the 1795 Partitions of Poland by Austria, Prussia and Russia. Roman Stanisław Dmowski [ˈrɔman staˈɲiswaf ˈdmɔfski] (9 August 1864 – 2 January 1939) was a Polish politician, statesman, and co-founder and chief ideologue of the right-wing National Democracy ("ND": in Polish, "Endecja") political movement. He saw the aggressive Germanization of Polish territories controlled by the German Empire as the major threat to Polish culture and therefore advocated a degree of accommodation with another power that had partitioned Poland, the Russian Empire. He favored the re-establishment of Polish independence by nonviolent means, and supported policies favorable to the Polish middle class. During World War I, in Paris, through his Polish National Committee he was a prominent spokesman, to the Allies, for Polish aspirations. 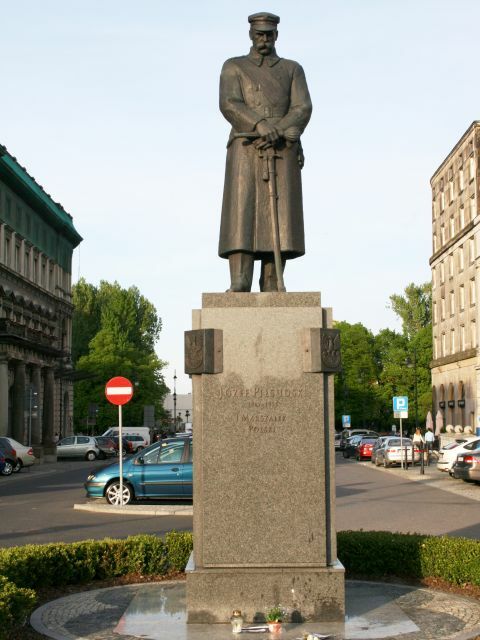 He was a principal figure instrumental in the postwar restoration of Poland's independent existence. 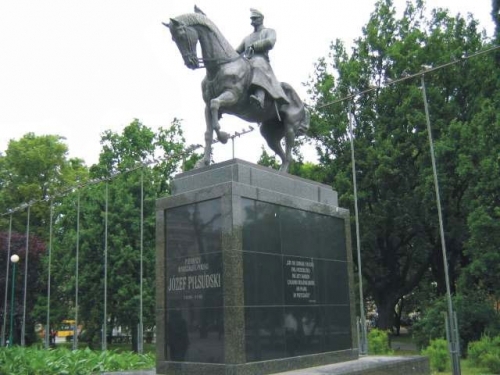 Throughout most of his life, he was the chief opponent of the Polish military and political leader Józef Piłsudski and of the latter's vision of Poland as a multinational federation.